The streets of the United States are for all entities to use; vehicles, motorcycles, trucks, bicycles, and pedestrians. It is every road user’s duty to behave in a legally acceptable and safe manner when using these roads. By using these roads, there might be accidents between automobiles, trucks or between cars and pedestrians. If you have been involved in an accident and sustained an injury in the process, you can pursue justice as well as get compensation for your distress by hiring the services of a ‘pedestrian lawyer’. 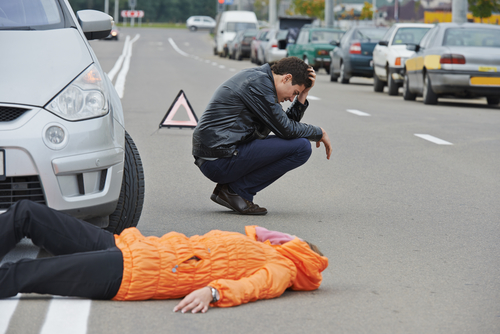 Come to Rawa Law Group to hire a reliable pedestrian lawyer Alhambra, CA. We are a five-star law agency that many Alhambra residents run to when they want to maximize their accident claims and gain full compensation. At Rawa Law Group, you have access to some of the most experienced injury lawyers in the state (California). We have a vast experience in helping injured victims and we have done so successfully for more than 5 decades. You can contact us today for a free consultation. We will spring into action and keep in touch with you. You will be attended to by one of our reliable lawyers, who will give you a personal one-on-one attention. We can meet you anywhere you are; your home or healthcare facility. You will also be given free legal counsel to help you forestall any legal complications that may arise in the future from your decisions. You can reach Rawa Law Group with the below contact details.